Spinal Alignment is one of the advanced alternative medicine principles widely practiced in the United States, Canada, Australia, New Zealand & the United Kingdom. A correctly aligned spine stimulates the system and allows the body to return to its natural rhythms. Massage is one of the oldest forms of therapy know to relieve pain, relax the muscles and stimulate the body. As we age, the natural curvature of the spine may become misaligned due to stress and bad posture. Massaging your spine regularly may help your back stay strong and durable. 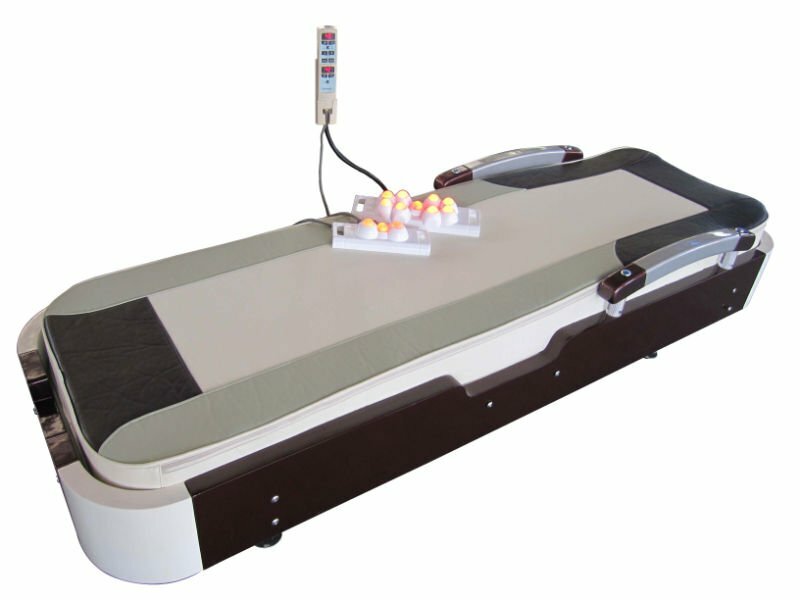 Moxibustion effect is a method utilizing heat derived from a mixture of herbs to stimulate pressure points, which promote the body’s ability to heal itself, increase blood circulation and proved relaxation. Jade is a stone that transmits a level of Radiant Far-Infrared Heat that is beneficial to the human body when heated. The Internal and External projectors of Ceragem are comprised of jade to optimize the effectiveness of Radiant Far-Infrared Heat.